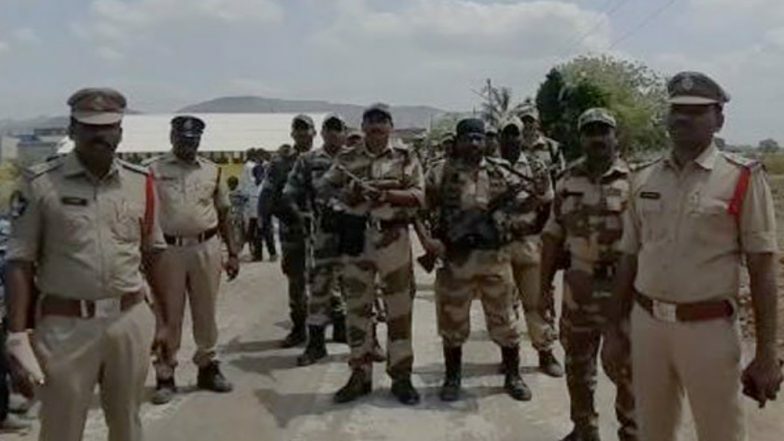 Kanchikacharla Mandal, March 19: Ahead of the Lok Sabha polls, Police of Krishna district on Monday held a flag march to create awareness about free and fair elections here in Paritala and Nakkalampeta villages of Kanchikacharla Mandal. Nandigama DSP Subhash Chandra Bose said: "We will maintain law and order during the upcoming elections in the state. Along with that, full protection will be provided to those who will franchise their votes. Andhra Pradesh Lok Sabha, Assembly Elections 2019: TDP Announces List of Candidates; Former Union Minister Gajapati Raju to Contest From Vizianagaram. This flag march is a warning to the anti-social elements not to indulge in any unlawful activities during the elections. "In Amritsar too, police conducted a flag march on Monday for installing a sense of security among voters ahead of the elections. Speaking to ANI, Additional deputy commissioner of police (ADCP) Jagjit Singh Walia said: "Several plans have been made considering the election scenario. On a daily basis, we are conduction flag marches across various parts of Punjab. All security forces available in Punjab are taking part in it." The 17th Lok Sabha elections will begin on April 11 and culminate on May 19. The Lok Sabha polls and the Assembly polls in Andhra Pradesh will take place on April 11 in a single phase. while polling for 13 parliamentary constituencies in Punjab will take place on May 19. Counting of votes will take place on May 23.